Bresson is a superb and affordable option for lunch in Monkstown. Our three course lunch menu is available Thursday to Saturday between 12:30pm and 2:45pm and on Sundays between 12:30pm and 3:15pm. Customers can choose to dine on one, two or three courses at lunch. 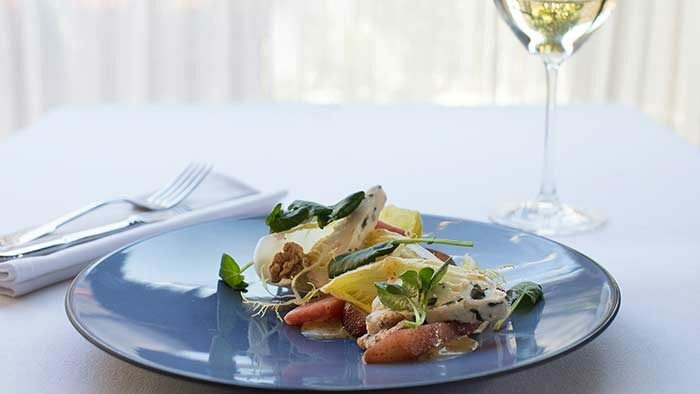 Relaxed informal dining in comfort is our aim and we offer exceptional value too; the menu is priced at 19.50 for one course, 24.50 for two courses and the three course menu is 29.50. On Sundays we offer a special roast of the day enhancing our family-friendly reputation. So far the summer has begun with some exceptionally warm weather and we hope this will continue as it affords ample opportunity to “manger à l’extérieur” on Bresson’s delightfully sunny terrace. 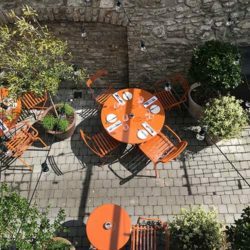 Lucinda O’Sullivan recommends the terrace for “leisurely aperitifs” in her list of the “Top 20 Best Terraces in Ireland” to eat out in style. Dining on the terrace is on an ad hoc basis. When you arrive, if the weather is warm and a table is free you’re welcome to do so.